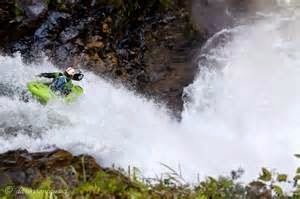 Whitewater Through the Ages | DBP MAGAZINE ONLINE The World's Best Free Whitewater Publication. The use of water as a means of transportation has been around for centuries. As far as modern history dictates the origin of boats started with Native Americans building forms of canoes out of different types of wood. People who were native to the Arctic regions actually used stretched out seal skin as a means to waterproof the boat. These crafts were typically more closed off because of the cold water, and more closely resembled kayaks. Natives to what is now know as North America (more specifically the US) used different types of barks and beaver hides to waterproof their versions of watercraft which more closely resembled canoes. Which native tribe should be credited with the invention of the first watercraft I neither know, nor care to speculate on. As far as we know, this remains the extent of watercraft built for many years. In Europe, ships were made to cross the ocean and eventually led to Europe migrating to the Americas in 1492. While ocean crafts were certainly built before this time, that is outside of the extent that this article is meant to cover. 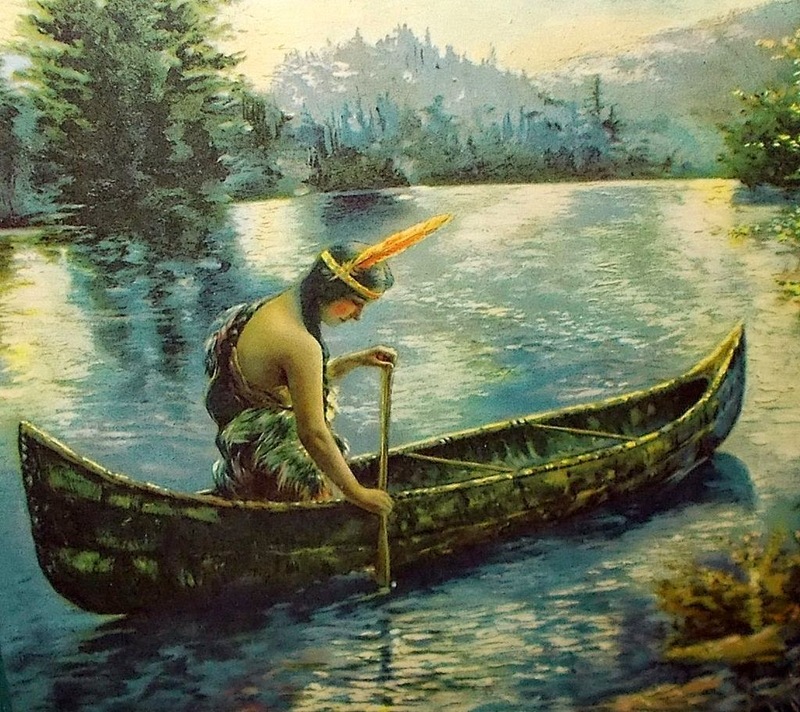 However as more and more people migrated to the Americas, and as need to colonize and expand was established, the use of canoes became more prevalent. When shipping large quantities of goods during this time period, downriver (if available) was the fastest means of travel as horses could only bear so much weight and require food, water, and rest. As America began to colonize, the first descents of many rivers took place. Traders would send shipments downstream to their destination via forms of canoes. Many of the rivers had rapids on them in some places or another. While for the most part no more than class 3 or 4 by today’s standards, these rapids were deadly to people at that time who lacked the proper equipment and knowledge to properly navigate them (not to mention their canoes were loaded with hundreds of pounds of goods). While many of the larger rapids were portaged, occasionally crews would decide to run the rapids to save the labor that portaging not only the canoes, but the hundreds of pounds of goods would require. Some of these attempts were successful and some ended in tragedy. Either way, this was the first documented time frame in which crafts attempted to navigate such treacherous waters. Eventually (sometime during the 1800’s) people began to canoe for sport. It was not until 1931, when a man named Adolf Anderle successfully navigated Salzachofen Gorge (in Austria) in a canoe that the birth of modern whitewater took place. Shortly after, the international scale of river difficulty was established and is still in use today, albeit with some modifications. We will now turn our attention to a town in Colorado. Salida began a annual tradition known as FIBark on June 19, 1949. This event originated as a downriver survival race, and by 1953 became the first ever slalom race in North America. Up through this point crafts that were used were still canoes and what were known as fold-boats. Fold-boats which were the origin of kayaks, were essentially canoes that had some type of waterproof animal hide or fabric stretched across the top of the boat to prevent water from entering, and thus the craft from capsizing. These boats typically weighed in excess of 80 pounds. It was during this time period of fold-boats that the first descent of the Gauley occurred by John Berry in 1957 (before the damn was built). During the next decade (the 1960’s) much progress in equipment was made. It was during this time period that fiberglass boats introduced. Much lighter than traditional boats (20lbs versus 80), they were much easier to maneuver, but also broke much easier. In 1965, the Summersville Damn on the Gauley was completed by the US Army Corps, forming what is now know as the Upper Gauley. Three years later in 1968, John Sweet, Norm and Jimmy Hilcolmbe, Jack Wright, Miha Tomsic and John Stuart became the first people to descend the modern version of the Gauley. Sweet was the only one among them to attempt all of the major rapids that day, and Sweets Falls (a rapid on the Upper Gauley) would later be named after him. 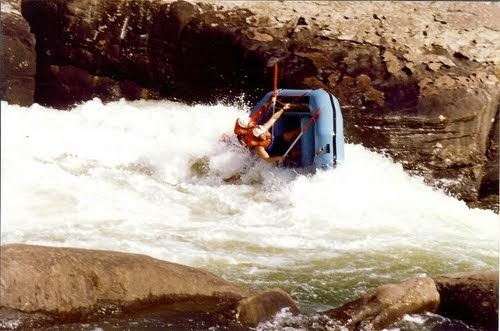 In the years following, very few descents of the Gauley occurred and it gained a reputation for being one of the hardest whitewater rivers in America. 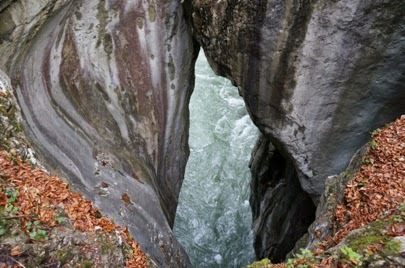 In fact, Pillow Rock was originally rated a class VI on the international scale of river difficulty. It wasn’t until the 1990’s that the rating dropped to a class 5 and the 2000’s that it became considered a 4+ (in fact many people still consider it a class 5). In 1984, the first plastic kayak was introduced, and from there new molds were developed allowing for more modern designs. The rest, as they say, is history!